When was your home built? If you’re not sure, the answer is likely quite a while ago. Just like all technology advances with time, so do the ways in which we power and build the homes we live in. If your home’s wiring is old and in need of an upgrade, look no further than the expertly trained technicians at EarlyBird Electrician to take care of bringing your home electric into the future. You can call us 24 hours a day, 7 days a week to talk about the steps you can take to rewire your home. We’ll help you determine whether you need complete rewiring or smaller upgrades, and then create a plan to get the work done to code as quickly and efficiently as possible. Minneapolis – St. Paul has been our home for many years and just like any home – including yours – we are happy to treat it with the care and community it deserves. 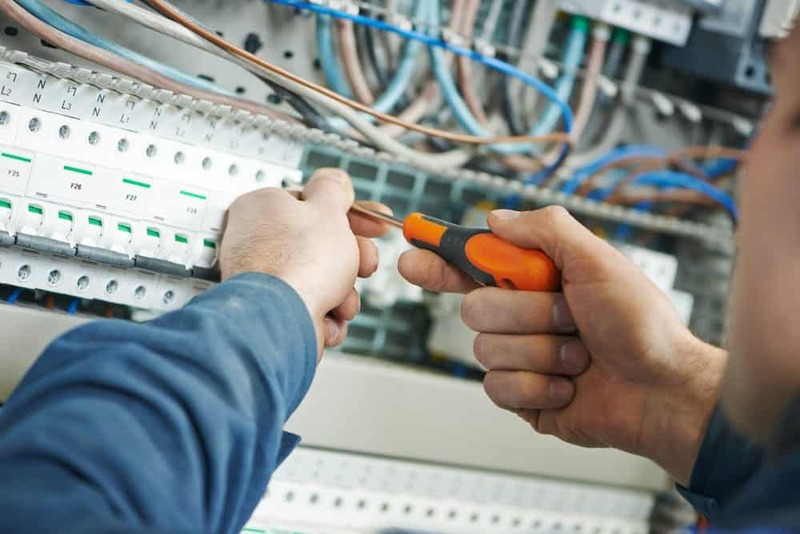 When you come to us for your rewiring needs you’ll get licensed, background checked electricians that deliver same-day service 24 hours a day, 7 days a week with no-surprise pricing and safe, secure service – guaranteed. When is it time to get the wiring in your home replaced? You start noticing frayed or cracked wires. Wires can dry out over time and use, leading to visible cracking or fraying. Any visible, physical damage to your home wiring such as nicks, pinches, piercings, or otherwise can be dangerous if left untouched. Lights dim anytime other devices that use electricity are turned on. Visible scorch or burn marks. Scorch marks in and around outlets mean that they’re getting overloaded. Another obviously visible sign that your wiring is out of date and needs to be upgraded to handle the load it is delivering. Your circuit breakers are constantly tripping. If the breakers are constantly tripping, and you find yourself frequently having to go and reset them, it’s a very visible sign that they are overloaded. Getting in touch with a licensed electrician like the ones employed at EarlyBird Electrician can help you determine what type of electrical panel you need to handle the amount of energy your home is using. Outlets or appliances are starting to smoke. Another sign of overheating, which means that the wires are overloaded, leads to increased heat which in turn leads to smoke coming from electrical devices. Not a good sign. Crackling or popping sounds. If this is happening, it means that not only are your electronics being overheated but it’s getting to the point where sparks are starting to fly. If this happens, turn off electricity to the affected areas and call us immediately. …long story short, if things don’t seem to be working quite right, it’s more likely than not that your home’s wiring is outdated and in need of an upgrade so that you can keep your family safe while maintaining regular electricity use.